8. 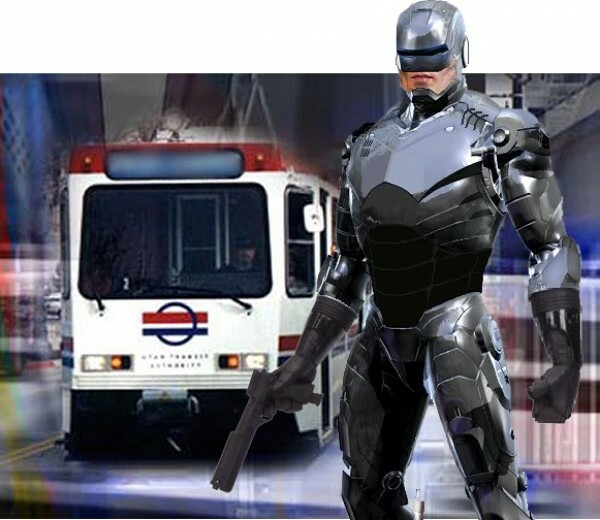 Their secret new RoboCop police force isn’t going to be cheap. 7. It’ll keep crazy hobos off the trains and where they belong: camped out in front of City Weekly. 6. The term “premium pay zone” sounds so much more upscale and cosmopolitan. 5. Ever consider walking a little further, tubby? 4. There’s no such thing as a free ride—unless you’re a UTA board member traveling abroad, or retired CEO. 3. If you think service can’t be made, uh, get worse, think again. 2. The bus in Speed was in a free fare zone, and look what happened there. 1. What part of “Authority” don’t you understand?